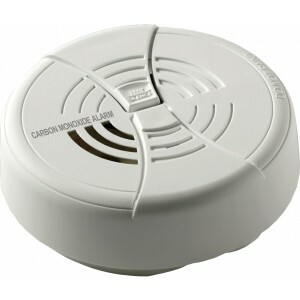 The BRK CO250B Carbon Monoxide Detector/Alarm is a battery operated carbon monoxide detector that runs off of 9V battery power. This model is great if you have limitations with hardwired models. With the flexibility to mount anywhere, the BRK CO250B makes CO detection and your safety easy. The BRK CO250B has many important features to expect from a quality Carbon Monoxide detector, such as an advanced electrochemical sensor, an 85db horn, 9V power supply with tamper resistant door, a test / silence button with led indicator light to tell when the unit is armed. To ensure proper battery operation, the BRK CO250B Carbon Monoxide Detector has a teamper resistant battery door with locking pin. The locking pin allows you to protect the battery door in case installation is in a public area where tampering may be a problem. TheBRK CO250B Carbon Monoxide Detector is UL Listed for safety (UL2034, NFPA101), and is suitable for installation in residential and commercial applications such as multiple family dwellings, hotels, motels, hospitals, etc.